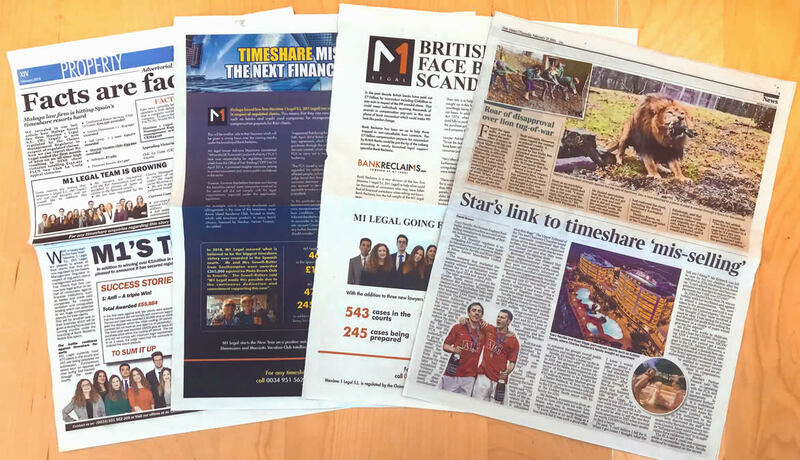 In this edition of our newsletter, we update you with our latest news and stories PLUS our legal associates M1 legal being included in a recent article in The Times! 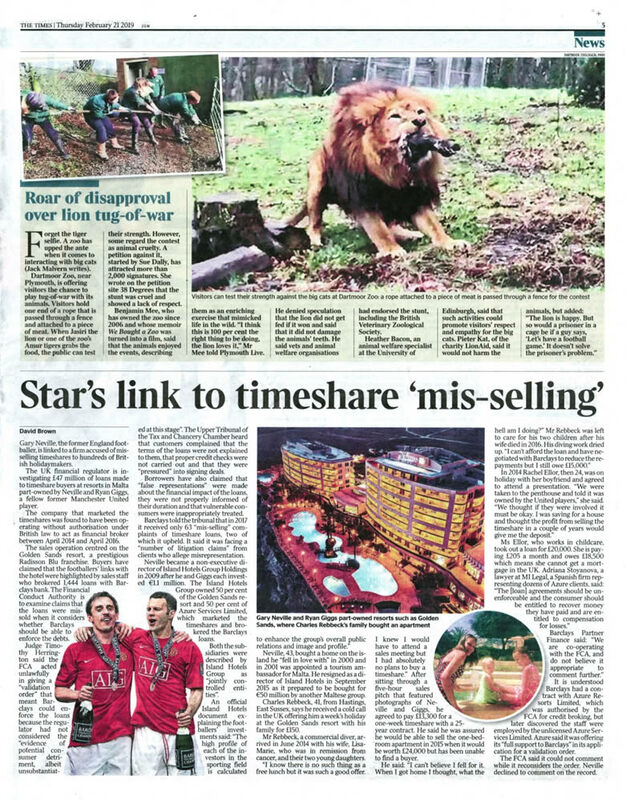 David Brown from The Times published a great article on Thursday February 21st 2019 in relation to famous footballers Ryan Giggs and Gary Neville commenting on their connection to a Maltese timeshare resort which is in the spotlight for mis-selling timeshares and related loan agreements brokered by unregulated introducers. Our legal associates M1 Legal were also mentioned being the lawyers that instigated the investigation on behalf of many Azure clients that they represent. Below is a copy of the page as printed in The Times. 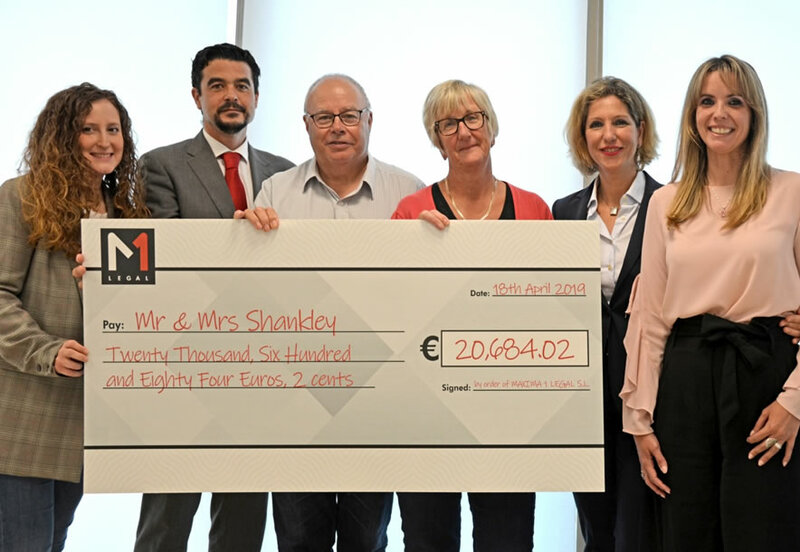 Following on from the recent exposure in The Times, M1 Legal continue their battle against the timeshare resorts – below are some of their recent victories. 2019 started off well there being 11 victories during January and February totalling £157,328. 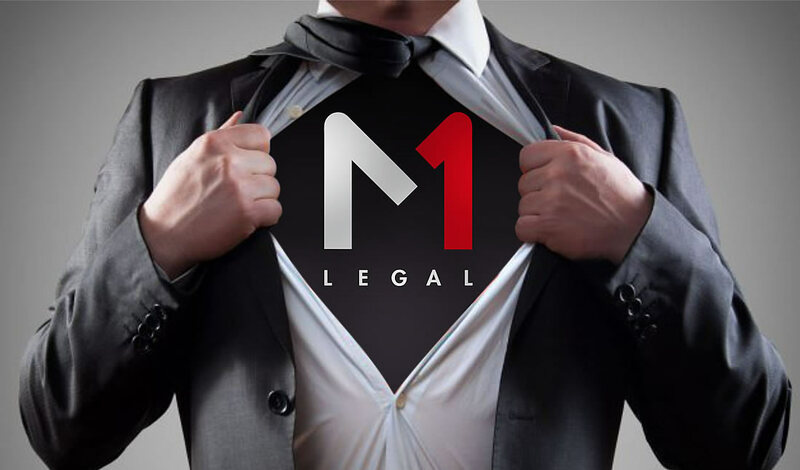 After an initial court decision that the case did not fall under Spanish jurisdiction, M1 legal appealed the decision which was reversed by the Malaga Court of Appeal. The defence argued that the case should not be heard in Spain claiming that the contract fell under English law. The appeal judge ruled that the Club la Costa (UK) PLC Sucursal en España is a Spanish entity and the case should be in Spain. This means that this case will now be re-submitted to the court of first instance. A similar case has been heard against Diamond Resorts, the contractual name being Diamond Resorts Europe Limited – Sucursal en España. Again the appeal judge ruled that this case is valid in Spain and can now be re-submitted through the Spanish courts. M1 Legal’s clients had two contracts, Cala Pi Maintenance S.L. and Noarre S.L. The case was initiated by their resort Cala Pi processing a claim against the client for unpaid maintenance fees totalling over €12,000. M1 legal stepped in on the grounds that the company pursuing the case was simply just the maintenance fee company i.e. Cala Pi Maintenance S.L. M1 also submitted a claim against the contractual party Noarre S.L. The contract with Cala Pi Maintenance S.L. was dismissed on the grounds of no right or capacity to bring action to appear in court. The contract with Noarre S.L. was found to be in perpetuity (no end date). The judge ordered Cala Pi Maintenance S.L. to write off the debt and the contract with Noarre S.L be deemed null and void. Along with Sky TV, We are pleased to confirm that we have started our UK radio national campaign on household brands Smooth and Gold. We have initially signed up for three months and our advert will be heard over six thousand times, 5507 on Smooth and 926 on Gold with over 2.5 million listeners. You can listen to our ad by visiting our website www.ecc-eu.com or click the radio image above. With all this exposure and publicity, there can be no better time to start your claim, Real people, Real results, Real rewards.